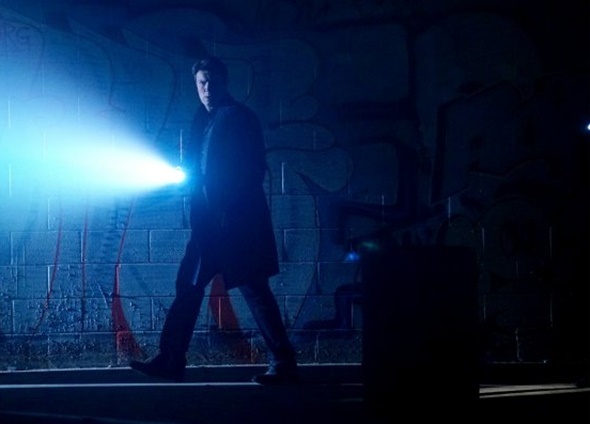 Castle return to ABC with the second half of season eight on February 8, and fans will already see one mini-Firefly reunion on the series in an upcoming episode, but Nathan Fillion teased that fans will see a second Firefly star on the series before the end of the season. Spoiler TV shared a video interview featuring Fillion and his Firefly co-star, Alan Tudyk, and the Castle star revealed that Tudyk would soon appear on the series. He also teased that Summer Glau has already filmed her appearance on the series. TV Series Finale previously reported that Glau would appear on Episode 14 of the series this season. Were you a Firefly fan? Are you happy to see another Firefly star joining Nathan Fillion on Castle? Tell us what you think. Yes and No. Firefly was a unique opportunity for greatness. Much more interested in seeing Fillion performing with Katic than anyone from Firefly. Anything that takes away from that detracts from Castle. Finally! Yes and yes to the questions. THRILLED TO SEE ANYTHING AND ANYONE WHO WAS ON “Firefly”! SUCH A GREAT SHOW AND WONDERFUL ACTORS. Love “CASTLE” too. Huge Firefly fan — and I’m thrilled to see any and all Firefly actors appear on Castle. By the way, Alan Tudyk would make a great series’ regular. ‘Firefly” series. I’m looking forward to “Castle” returning and the “old” stars from “Firefly”! Yes Yes Just started watching the show again on Netflix. Loved this show.